← Shish-tauk sandwich & Lebanese music, Montreal-homemade style! Onions, green peas, carrots, bell peppers, mushrooms, potatoes (all washed, and chopped). V8 or tomato juice, salt and pepper, oil and water. Method: In a big pot, heat oil and fry onions first. As soon as they start becoming translucent, add beans and fry until they are a bit soft and golden. Add potatoes, salt and pepper and half glass of water and simmer for 15-20 minutes. These were the items that needed the longest cooking time. The rest takes no time! 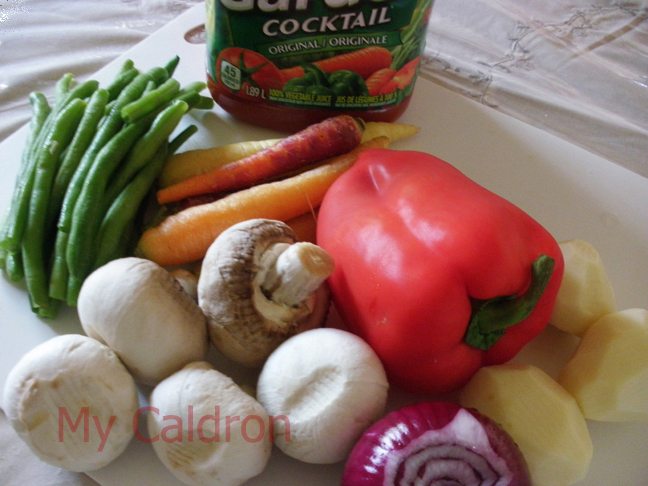 Add chopped carrots and bell peppers as well as three quarter glass of V8. 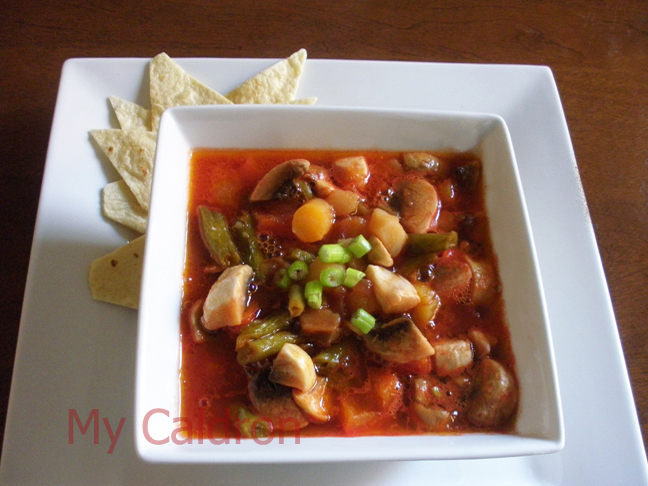 Ten minutes before serving, Add mushrooms and adjust the taste and thickness.